FILE - Ford automobile logo. Ford Motor Co. is going ahead with plans to move small-car production from the U.S. to Mexico despite President-elect Donald Trump's recent threats to impose tariffs on companies that move work abroad. 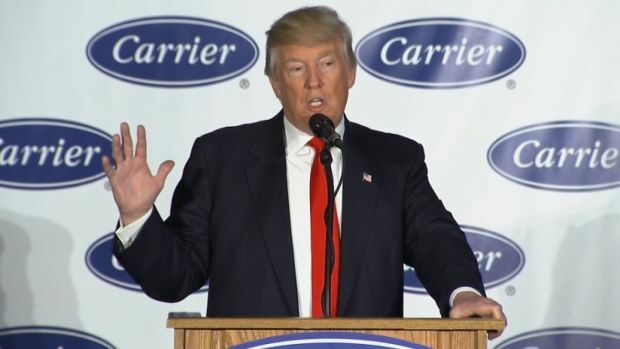 President-elect Donald Trump starts his victory tour at a Carrier plant in Indiana on Dec. 1, 2016, celebrating Carrier's decision to keep a thousand jobs slated for Mexico within the United States.